Over the past several months, The Way of Love has always been on my desk in one form or another. 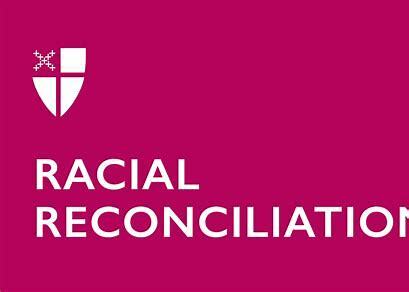 As part of the Presiding Bishop’s Working Group to create resources for the Church based on the seven practices of following Jesus. It’s been fun (and quite a ride) working with a creative bunch of Christian educators from across the Episcopal Church. 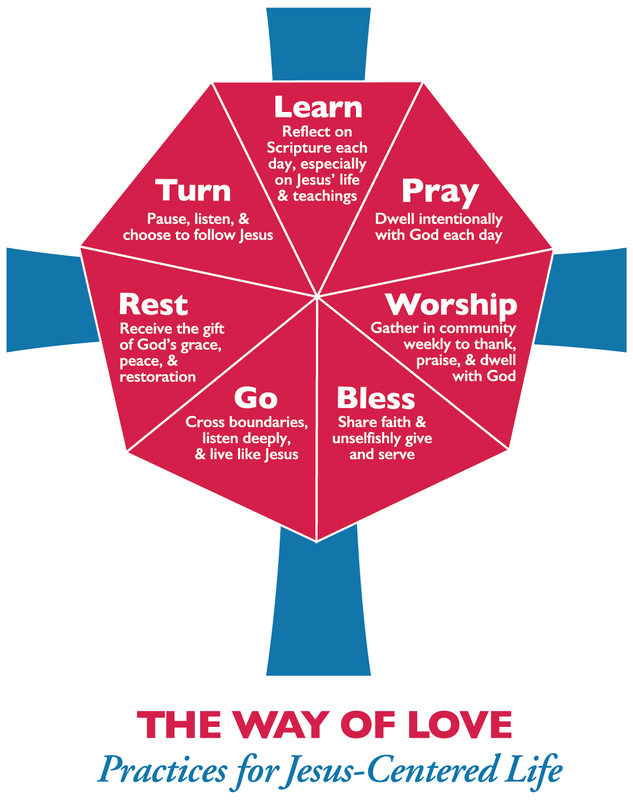 I’ve created two particular resources for Church Publishing: The Way of Love for Families and An Intergenerational Gathering for the Way of Love. I was also excited to work with Mary Bea Sullivan of St. Luke’s Episcopal Church in Birmingham, Alabama in bringing her Living the Way of Love: A 40-Day Devotional to publication in record time. 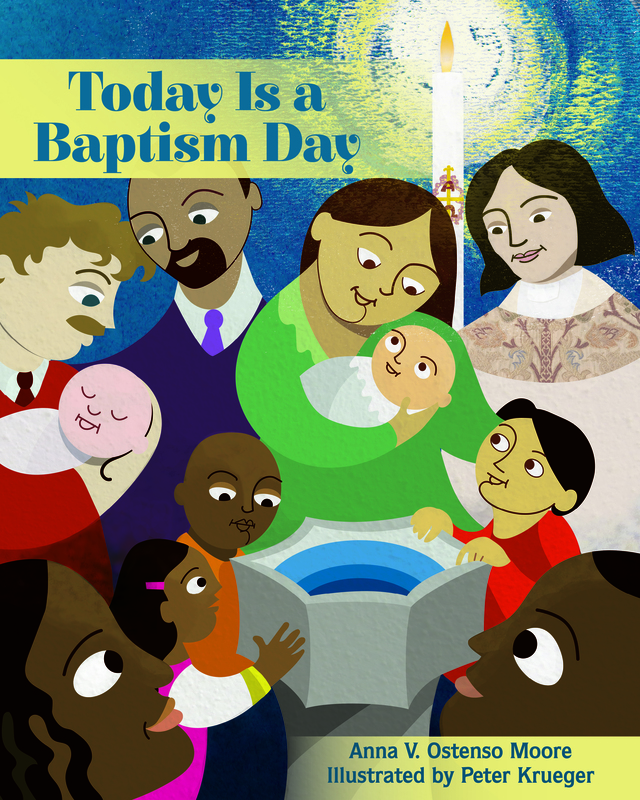 Many have asked for children and youth ministry resources for The Way of Love. You can certainly adapt the Families and Intergenerational materials I created above to fit your needs. Gratefully, many of you have been creating your own, or tweaking what exists to fit your ministries. Keep checking back to The Way of Love “official” website where seasonal resources are continually being updated and offered. Much of The Way of Love is created for “open space” sharing, meaning if you have created something – submit it to The Way of Love email addressor through this form. Those of us (myself included) on The Way of Love Working Group will review and be in touch if this is something shareable on the website so others can learn and use also. Are you aware of these newly posted resources? Chris Sikkema has been Traveling the Way of Love. His first episode focused on Bless. Join him in the second episode from Jackson Hole, Wyoming where he focuses on Rest. Love the Tetons! Resources for Eastertide are now available, with a focus on Go. Here you will find images to use as well as ideas for evangelism – yes, going out into the world to spread the Good News of Jesus in the neighborhood. If you tapped into any Way of Love resource during Lent, there is a “Test Kitchen” of Life Transformed on Facebook, where you can share how you are practicing Go and hear what others are doing. 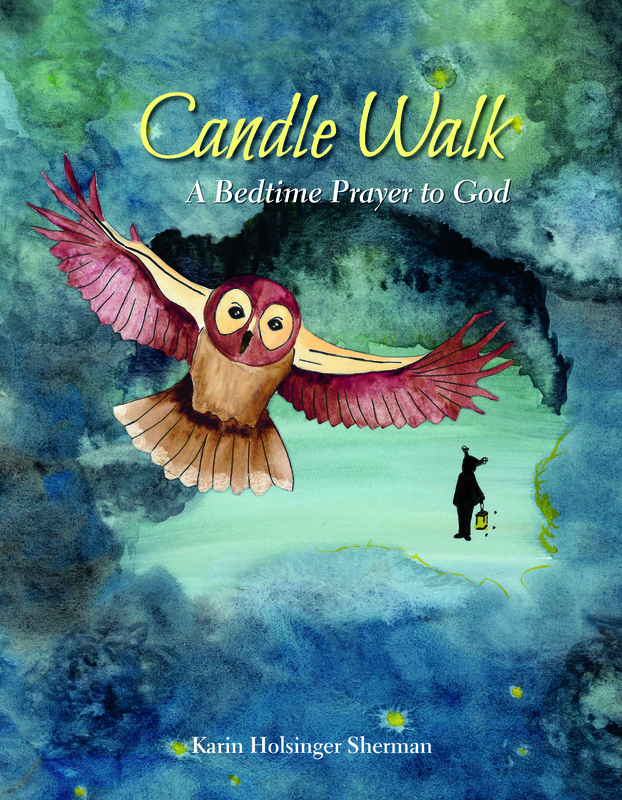 And stay tuned for a September book by Bishop Mariann Edgar Budde of Washington on Receiving Jesus: The Way of Love. It is available for pre-order now here. As Advent begins, it has become my tradition to review what has occurred over the past year, including projects worked on and events that have impacted my life. I gather favorite photos, remember trips taken, and the joys and challenges that have gone before. I begin to write my family’s annual Christmas letter which has become a way of my husband and I to reflect and give thanks. As an editor who has had the privilege of caring for the words of others that will be shared in the form of a published work, I am grateful that is role has taken me on a journey with so many, learning their story as well as developing collegial relationships and sometimes building upon friendships that began long before a book was even a dream. 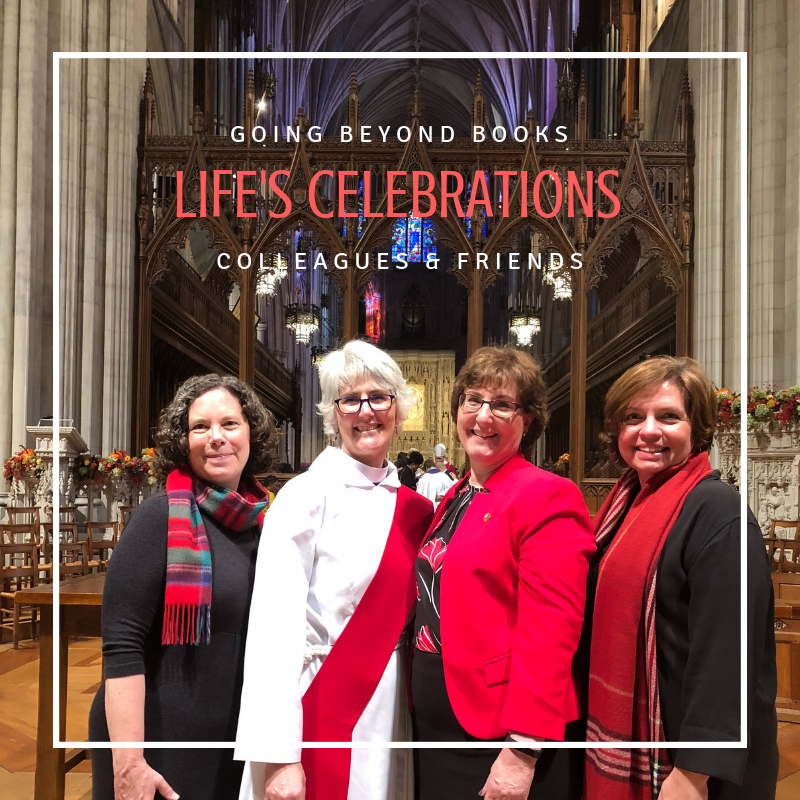 Such is the memory from November, in which I was honored to “vest” Jenifer Gamber as she was ordained to the transitional diaconate at Washington National Cathedral. I was a friend and colleague long before co-writing (Call on Me) and editing (My Faith, My Lifeand Your Faith, Your Life). And to my joy, many other Christian formation friends also attended; that’s what we do––show up at life’s moments to support one another. And so now I have another photo to remind me of how grateful I am to have friends that I also get to “work” with; women who lead the way in helping make the Church (and the world) a better place. Alongside Jenifer, Wendy Claire Barrie (Faith at Home: A Handbook for Cautiously Christian Parents), and Emily Slichter Given (Building Faith Brick by Brick Iand II) together we have celebrated many milestones in our lives. Being their editor is just icing on the cake, being a friend is what I value most. 2018 slid into 2019 quickly with my New Year’s resolution to post here more often quickly was an instant failure. Yes, it’s been awhile (almost seven months!) since I’ve posted here. But those of you who follow me on Facebook or Twitter (plus Pinterest and Instagram (where “I’m still a newbie”) know that I’m still around, active in a variety of ways. So over the next few days I’ll try to make up for that with a snapshot of projects and recaps that I’ve been busy with since last fall – lots of links to resources and articles to come!